The island is recognised as an Important Bird Area (IBA), which gives Dyer Island the same status as an IBA anywhere else in the world. 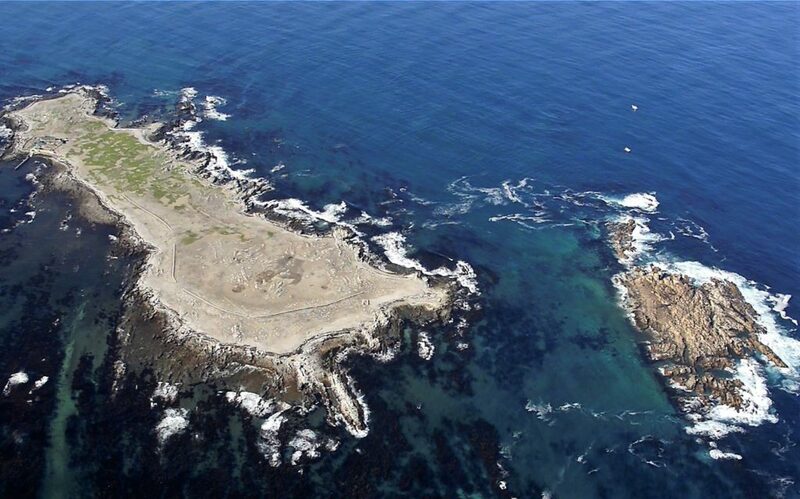 Dyer Island is a 20ha Nature Reserve, situated 8.5 Km from Kleinbaai harbour in Gansbaai. It is the easternmost, of the chain of seabird islands of the Western Cape. Dyer Island is managed by CapeNature, primarily for seabirds and shore birds. Some of the birds breeding on the island include the vulnerable African Penguins and endangered Bank Cormorant and Roseate Tern. Other breeding species include the Cape, White-breasted and Crowned Cormorants; Leach’s Storm Petrel; African Black Oystercatchers; Kelp and Hartlaub’s Gulls. The island is recognised as an Important Bird Area (IBA), which gives Dyer Island the same status as an IBA anywhere else in the world. There are 1228 IBAs in Africa, and 101 in South Africa. Thus, from a national bird conservation perspective, Dyer Island is one of the hundred most important sites in the country. Dyer Island was named after a Polynesian seaman, Samson Dyer, who was the first to be stationed on the island, in the early eighteenth century. At this time the island was used primarily by Dyer for seal harvesting (from the Cape Fur Seal colony based on adjacent Geyser Rock), and the remnants of a few boiling pots and fireplaces still stand near the living area. Following the guano-boom of the mid-nineteenth century, guano was scraped from Dyer Island regularly until 1983 (H. Fourie, pers. comm.). African penguins had previously used burrows in the guano for nesting. However, with the removal of the guano, they were forced to nest on the open ground, making them vulnerable to predators, most commonly the Kelp gull “Larus dominicanus”. Eastern white pelicans “Pelicanus onocrotalis” are known to have bred on the island. Keepers were reported to have destroyed all pelican nests and eggs due to their fondness for the eggs and young of guano producing birds (Symons, R.E. 1924). Two ruins of crude stone buildings, possibly used as shelters during the early guano collecting days, stand adjacent to the channel and along the northwestern coast of the island. The thick walled stone buildings near the living area were also used for guano related purposes. The main house on the island was built in 1930, and the slipway was constructed in 1991. Steel and wooden wreckage seen along the coast bears testimony to marine disasters caused by the notorious reefs encircling the island. In 1989, the fishing trawler South West Seabird from nearby Hermanus was one of the luckier boats to run aground without loss of life (Johnstone E. pers. comm.). A two meter high concrete spire, known only as “Power’s Grave”, stands near the center of the island. Two other large graves are also found near the buildings, one with a headstone, perhaps remains of the 6 people that are said to have been buried on the island, following the sinking of the Hektor in 1913.